The initial proposal was to name the plaza for Charlotte Adams and Joe and Lucy Straley, local civil rights and peace activists who used the post office plaza as a soapbox to spread their message. The naming committee suggested they could be honored with plaques in the plaza. But (council member) Sally Greene said the committee also recognized that others also might be worthy of honor and options should be left open. 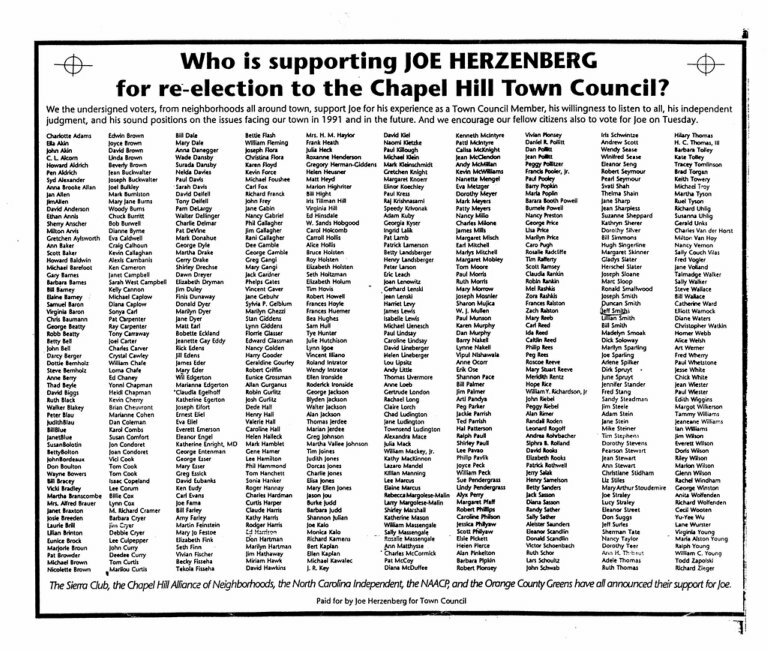 Former council member Joe Herzenberg started the bidding with a suggestion to also name the plaza, or something else at some point, for three leaders of the civil rights movement in Chapel Hill. "First of all, I have no problem -- how could I have a problem? 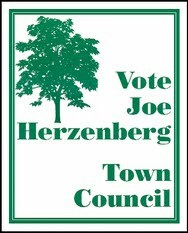 -- with Joe and Lucy and Charlotte," Herzenberg said. "Great citizens of our town. 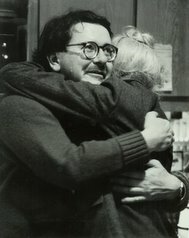 But at some point in the future ... there ought to be some official town notice of the three main leaders of the civil rights movement in Chapel Hill: John Dunne, Pat Cusick and Quinton Baker. 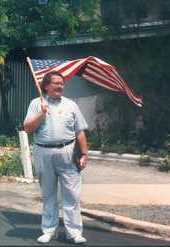 They did back in 1963 and 1964 what very few citizens of our town were willing to do, unfortunately, which was to stand up for what was right," he said. "They deserve some acknowledgment."